Monday night programming is proving strong again this season, with predictions for most shows indicating certain or likely renewal. The Blacklist has been especially strong in season 2, winning three of the four 10 p.m. timeslots since it started. It crushed the Under the Dome finale on September 22 with 12.3 million (live + SD) million viewers, including 3.4 million in the coveted 18-49 demographic (versus 7.5 million, 1.8 million for Under the Dome). The next Monday, September 29, saw Castle’s season premiere just edge The Blacklist (10.8 million against 10.5 million; The Blacklist had a higher demographic, though, with 2.8 against 2.2). NCIS: Los Angeles also premiered that night, garnering a strong 9.5 million (1.9 million). 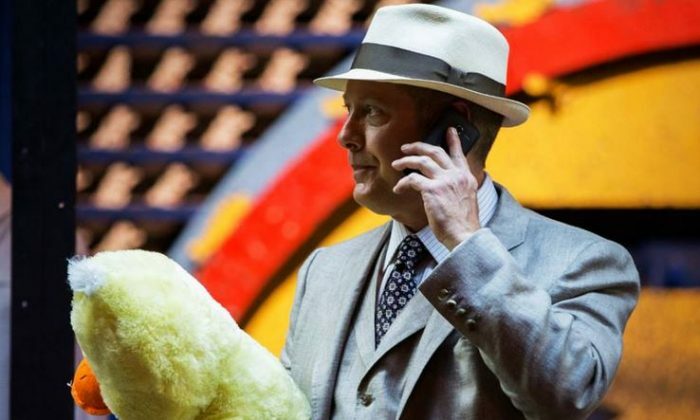 All three shows are continuing to do well, with The Blacklist winning the next two Mondays but not by much. They do indeed look good for renewal. Sleepy Hollow’s “certain to be renewed” designation is less clear, since it dipped from a 5.5 million premiere (2 million) to under 4.8 million for the last two episodes. Scorpion has been handily beating Sleepy Hollow in the 9 p.m., starting out on September 22 with 13.8 million (3.2 million) and gradually dipping to 11.5 million (2.4 million) this past week. Dancing With the Stars, which extends into the 9 p.m. to 10 p.m. timeslot for ABC, has also been strong this season with over 12 million viewers per episode, with the same extension and similar ratings for The Voice for NBC. Gotham has been pretty strong for Fox in the 8 p.m. slot against DWTS, The Voice, and The Big Bang Theory, losing to all three shows but managing an average of about 7 million viewers a night, including about 2.8 million in the demographic. Note that predictions aren’t out yet for The Millers (CBS) or Jane the Virgin (The CW). Also note that the website does not predict rookie shows as “certain to be renewed” for a while, no matter how well they start. If it did, then Scorpion and Gotham would likely have earned that label already. In other Monday night programming, The Big Bang Theory is already renewed while Dancing With the Stars and The Voice are expected to be renewed.